This sweatshirt is a must-have pullover for a chic, sporty style. Wear this sweatshirt as a reminder of the GOTR core value “lead with and open heart and assume positive intent” on this trendsetting top. Features include a rolled sleeve and comfy relaxed fit. Made from a soft fabric blend and provides a cozy feel. 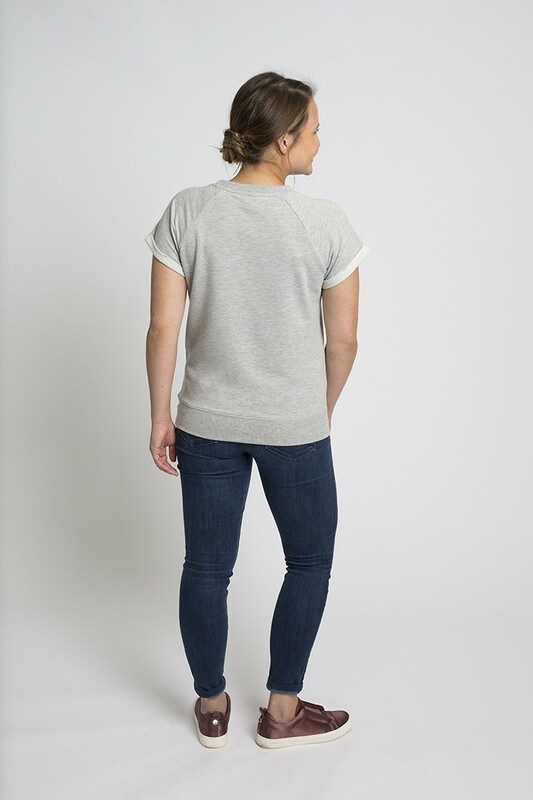 The short sleeve offers a shapelier version of a classic sweatshirt and looks great on all sizes. The model is 5’ 2” and is wearing a size medium. The base shirt is Boxercraft and has a relaxed fit.